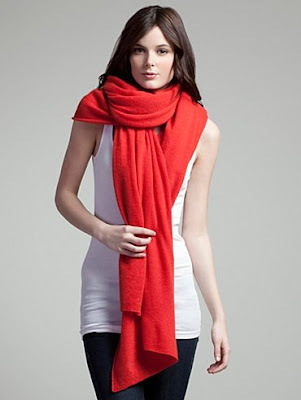 Cashmere travel wrap from White+Warren. 100% cashmere, hand washable, 15 different color choices, and at 81"x 36" it really is a blanket and a shawl and a scarf and a dress and anything else you want it to be. Which it damn well better be at $275. Still, I want one. Or two. Or three.